Some of my favorite gifts from Ireland- curated from my own Ireland travels! Irish artisan crafters are just incredible. These adorable Soapy Sheep from Daisy Chain Crafts in County Wicklow are your soap and washcloth in one! Made with natural ingredients and perfect as a small hostess gift or stocking stuffer. A lovely notebook is always a great gift! These beautiful notebooks from Orwell & Browne are bound in Donegal Tweed. Perfect for Ireland trip planning, memories, or as part of a set for your paper & pen loving friend. Available in multiple tweed patterns and paper sizes. 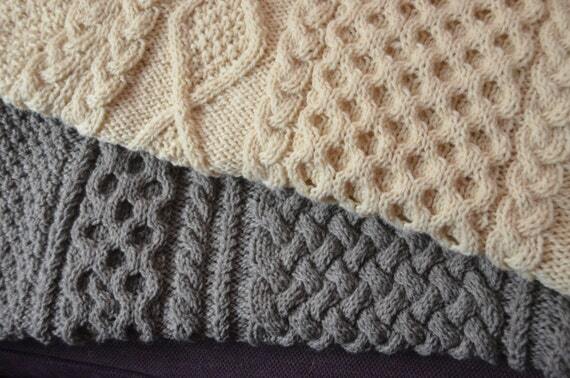 You can never go wrong with an Aran sweater! Curl up with a Good Book! Escape into a great story or plan your next trip with these recommended reads! Plan: Choose one of the Ireland travel guides that I use and recommend. Learn: Get your kids excited about Ireland with tales, stories, and facts about the Emerald Isle. From Butlers Chocolates to Guinness, you can have the flavors of Ireland delivered to your door. Opt for the Irish Pantry Hamper to create a grand afternoon tea or the Finest Irish Fare for an incredible selection everyone can share. Handmade counts- even if it wasn’t made by your hand. Looking for more Irish gift ideas?